Createspace Independent Publishing Platform, 9781482313291, 200pp. A deep, quiet, and life-changing transition is taking place in our world today. It is happening across the cultures of the world, is not driven by the media, nor can it be stopped or sidelined. It will succeed We really do not know God, as He desires to be known, until we know Him as Father. When we begin to see the centrality of this truth in the Bible, we hold a new book in our hands. Leanne walks us through the most painful seasons of her life. She came out not only a presentation of what it means to call God "Father," but she has also come into a powerful alignment with the Kingdom of God...the Family Business. She has become her message, pointing to a path made clear, on how to become a son or daughter of God. A testimony is irrefutable, sustainable, and beyond human logic. 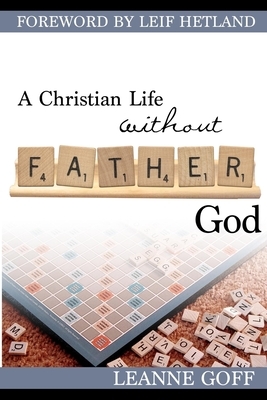 This book will aid you in understanding the "where-to-from-here" issue for those who are finding God as Father. Welcome to the eternal future and the Kingdom: Family of God A Christian Life Without Father God is an invitation for spiritual orphans to find their way home. The disease and tragedy of Father deficiency is causing more deaths than any other disease in our lives and society. The pages in this book are filled with passion for a passionate Father that wants all His spiritual orphans to finally come home. You are a beautiful son or daughter that Father God wants to express His love to, and then send you forth to give that love away to others. Leanne has learned the language of love that is being communicated all over the world. She has been in the darkness of Pakistan, amongst the poor in Africa, mothering an army of world changers in Cuba, releasing the Kingdom of God in the Philippines, and expressing the unending love of a wonderful Father across America. She travels with the language of love, bringing transformation to lives and nations. The Apostle Paul said, "For if you were to have countless tutors in Christ, yet you would not have many fathers, for in Christ Jesus I became your father through the gospel." (I Corinthians 4:15) The foundation of Spiritual Inheritance in the Kingdom of God is found in these pages. A double portion "anointing" is available for anyone that will allow Holy Spirit to lead him or her home. Leanne Goff has a wealth of ministry experience. She and her family were trained with YWAM and served on the field in Guatemala, and various cities in Mexico. Leanne also ministered nearly ten years with Teen Challenge in Iowa, Nebraska, and Tennessee, where she was the Women's Supervisor and pioneered the first women's center in Chattanooga, TN. In 2003 she became the Women's Director at Heartland Assembly in Ankeny, Iowa. In 2004 she launched a mission organization, Ministry In Action, leading countless teams to the nations and overseeing missionaries in various countries. Leanne has traveled to 23 countries, and has established a successful ministry center in Cuba, which is impacting this nation for the Kingdom of God significantly. After years of faithful ministry, Leanne had become battle weary and burned out. While attending a revival meeting in Canada she had a radical encounter with Papa God in a way she had never experienced before. During this encounter she received what she calls her Baptism of Love that completely transformed her life. Before this baptism, God was her Savior, Master and Ruler, but through this encounter He revealed himself to her as her loving Father. Since her Baptism of Love she has been a radical pursuer of His love and presence. Being in Papa God's presence has been, and continues to be, a lifeline for Leanne. In December 2007 Leanne became the Personal Assistant to Leif Hetland, President and Found of Global Mission Awareness. Shortly after joining GMA, she also became a spiritual daughter to Leif. This relationship of being a spiritual daughter has been vital to what Papa God has been doing in her life these past few years. Leif has taught Leanne how to love and live like Jesus did. Papa God has released healing to her "orphan spirit" and revealed the importance of her true identity as a daughter who's receiving her inheritance. Leanne serves as an Associate of Global Mission Awareness and travels extensively carrying an anointing to release men and women into their Designed Destiny, to be who they are called to be. But more than anything else, Leanne just desires to be known as beloved daughter that knows who she is and Who's she is. Leanne has been married to her husband, Ray, for 38 years and they have two children and five grandchildren.